UCR's Plant Pathology and Entomology team just issued a new alert for a pest affecting Coast Live Oak (Quercus agrifolia) throughout Southern California and up the Central Coast (LA, Orange, Riverside, Ventura, Santa Barbara, and Monterey counties). 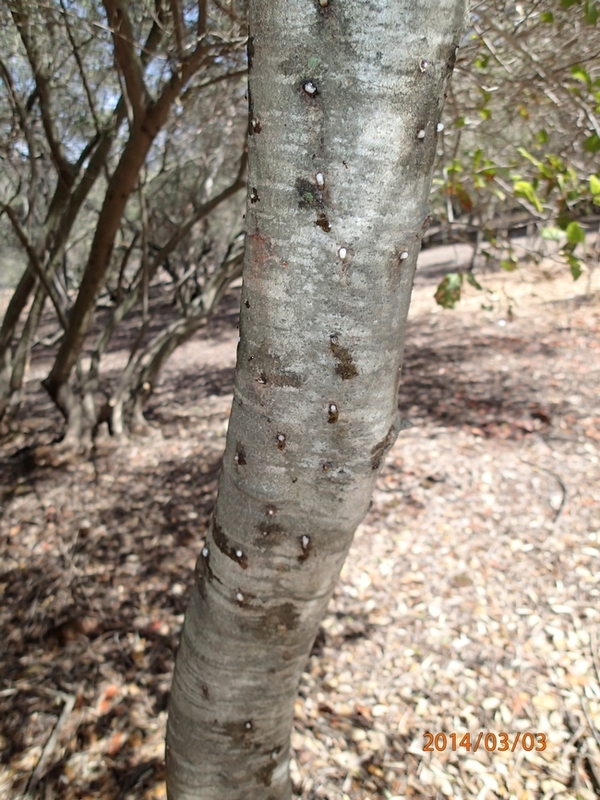 Foamy Bark Canker Disease is caused by a fungus, Geosmithia pallida, that's spread by the Western Oak Bark Beetle (Pseudopityophthorus pubipennis). Symptoms include wet discoloration around the beetle entry holes, followed later by a reddish sap, then a white to very light brown foam. They are usually seen first on the trunk and primary branches. Infected trees can produce a prodigious amount of foamy liquid that can run up to 2 feet down the trunk. You can tell the difference between this disease complex and the polyphagous shot hole borer as the entry hole is even smaller than the >0.1 inches shot hole borers make. You can read the complete pest alert here. The continuing drought has made native oaks more susceptible to insects and disease. In most years, its advisable not to water oaks in natural settings, but in areas that haven't received any spring rain, it may be advisable. For more information on managing landscape trees during the drought, check here.